It's a beauty thing: Blogtober Day #28 What is Strobing? 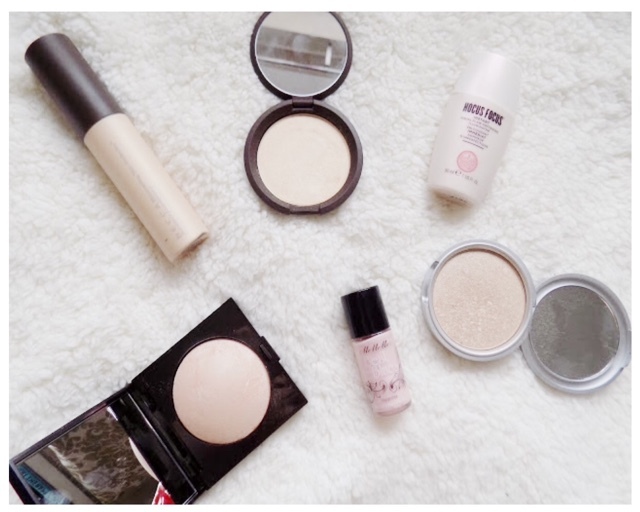 Blogtober Day #28 What is Strobing? This new trend has taken the beauty world by storm and my goodness it's the most beautiful makeup trend I have seen. So I thought I would go through what this stunning makeup trend is and some products and tips I use to get the perfect effect. I am a massive fan of highlighter, so this trend is something that caught my eye immediately. It's an everyday staple in my makeup routine and I can't leave the house without it. Strobing is basically applying quite an intense highlight to sculpt and contour your face, rather than using deeper tones like contour powders and bronzers to add shadows. My Favourite products for this trend? As you may have seen recently I picked up the Becca Shimmering Skin Perfectors in Moonstone, both the liquid illuminator and the pressed version. So these have been my go to highlighters although if you are looking for a cheaper alternative, The Balm's Mary Lou-Manizer is available on Feelunique.com for a great deal at the minute at £14 (normally £17.50) and boy is it pigmented. I also included Laura Mercier Matte Radiance Baked Powder Highlighter in 01 as it's a light champagne highlight and gives a beautiful sheen. There are also some great liquid or cream illuminators at the drugstore - Soap & Glory's Hocus Focus and MeMeMe Beat The Blues Illuminator to name a couple. Well with any tutorials, tips and tricks posts and YouTube videos I've seen, they always start by layering a liquid highlighter and then a powder highlighter over the top. The rest of your complexion products is up to you, as it depends on your skin type and whether you go full on glow or keep it a little toned down and apply highlight and glow only where absolutely necessary. What is great about this trend is that it can be altered to fit the persons skin concerns. For example, applying a dewey base, not setting with powder and applying quite shimmery glowy products over top isn't going to be suitable for someone who is super oily. So adding highlight only where necessary is the way around this. Where do you apply highlighter? Cheekbones (obviously), cupids bow, inner corners of eyes, brow bone, chin, bridge or end of nose, just above the arch of the brow and centre of forehead. These can be altered slightly depending on your preference and skin concerns but this is the general highlighter mapping. My favourite brushes to apply highlighter tends to be the duo fibre ones like the Real Techniques Duo Fibre Cheek Brush or the Fan Brush which are both great options if you tend to be heavy handed with your highlighter (which there is not a problem with) and the Setting Brush also works as it's very soft and fluffy so doesn't apply too much and flicks off any excess so it doesn't just sit on your skin and look powdery. 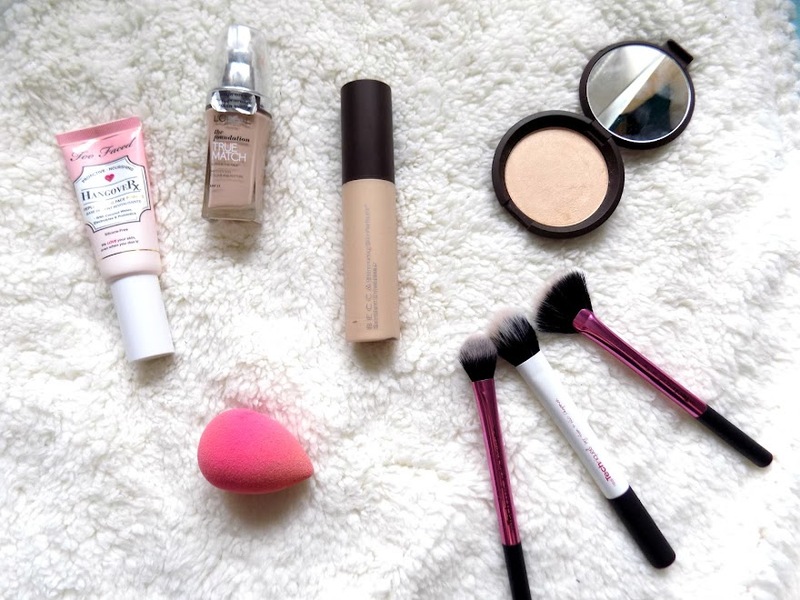 But for liquid illuminators, the best tool is the Beauty Blender as it applies just the right amount, blends it in to look natural and overall just makes it look much better than what a brush does. Step 1. The Too Faced Hangover RX is such an amazing hydrating primer that I've been applying on any dry problematic areas and it's bloomin' brilliant. I can't remember what I was doing before I got this. Step 2. For my personal skin type. 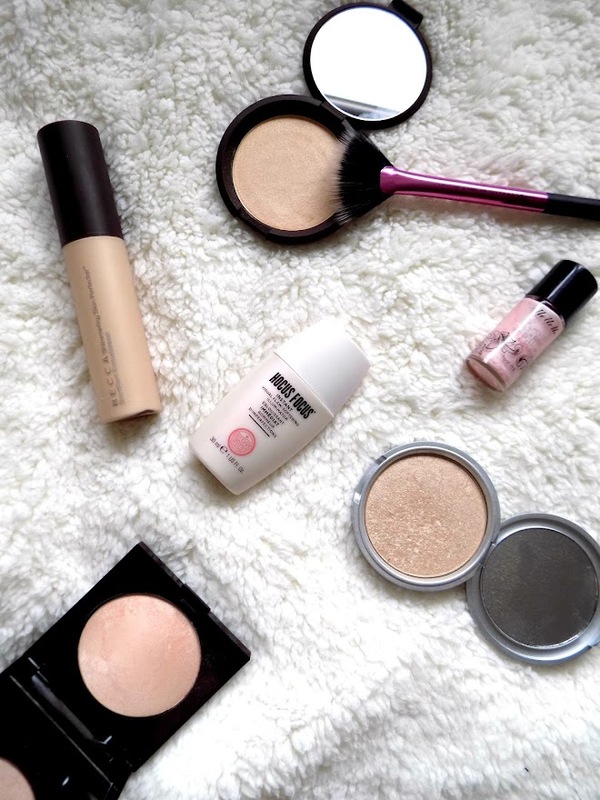 my current favourite combination for a flawless complexion is the L'Oreal True Match with the Becca Shimmering Skin Perfector Liquid in Moonstone mixed in to add that lit from within glow. As for the actual application of my foundation and illuminator combo, the Beauty Blender is by far my favourite tool ever, as it sheers it out ever so slightly whilst still giving coverage and adding to the dewey complexion. Then I powder only where necessary (which is under my eyes and down the t-zone), but the Hourglass Ambient Lighting Powder in Dim Light (the Makeup Revolution Radiance Palette is just as good and a great alternative) is a great powder for setting your makeup whilst still giving a beautiful glow. Step 3. I like to layer my highlighters with this trend so I take a liquid illuminator like the Becca SSP again or something like the MeMeMe Beat The Blues Illuminator and tap on to the high points of my face where I want to highlight, and I then go in with a powder highlight on top and the Becca SSP Pressed in Moonstone is my current fave as it is the perfect tone for my skin and it just looks so stunning. Look at that glow. Incredible. Step 4. Although the idea is to contour your face without using darker tones, the Ambient Lighting Powder in Radiant Light is dark enough for my skin tone that it gives a light bronze glow without any harsh contouring using super dark powders. This powder just gives a really pretty radiant bronze glow and I've started doing this recently and I really do love how it looks. Step 5. I also still want to add a blush and the Maxfactor Creme Puff Blushers are great for adding a subtle neutral pink flush whilst still adding keeping the main focus the glowing complexion. I like to finish off with some setting spray to make sure it all stays put. But this step is totally optional. With this look I love to use my powder highlighter across my eyelids and inner corners to carry on the glowy look, and the Hourglass Ambient Lighting Powder is great as a crease shade, and then simply add some liquid liner and mascara and that's the look done. 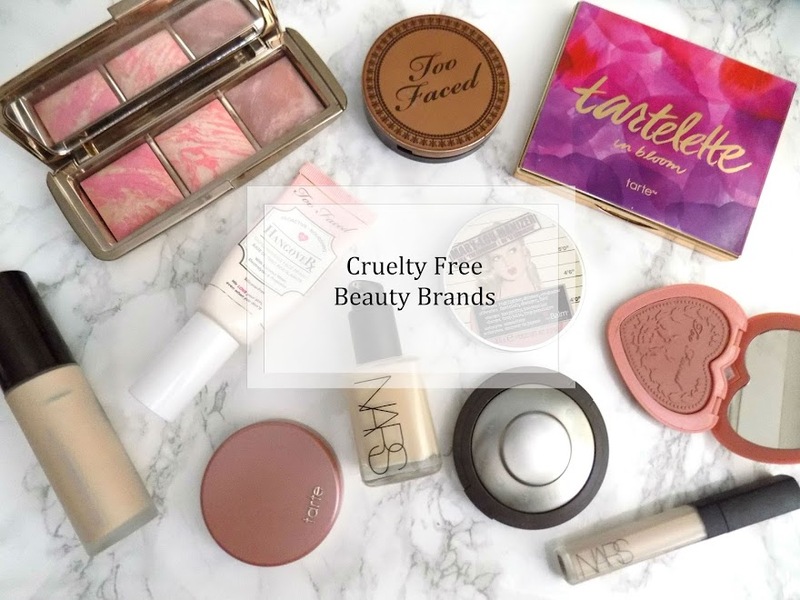 I hope you like today's post and that if you're looking for an easy way to re-create this trend for yourself, then these are a great bunch of products.